Even though most adults enter into the divorce process with the best interest of everyone involved in mind, it is not unusual for the relationship climate to become volatile. Divorce is extremely stressful, and in some situations this stress has led to abuse within LGBT households. Physical, mental, and emotional abuse can take their toll on adults and children making protective orders during separation necessary in some instances. Understanding the importance of protective orders, along with how these orders may be used during the divorce process, can help you keep your family safe during a difficult time. Domestic violence within the LGBT community is something that is not often discussed. Unfortunately, lack of access to this overlooked information often makes victims feel isolated and uncomfortable about coming forward. The feelings of fear, embarrassment, and shame that victims of domestic violence often feel are sometimes magnified in LGBT households. Until 2010 the Centers for Disease Control and Prevention (CDC) did not even analyze domestic violence that occurred within the LGBT community. 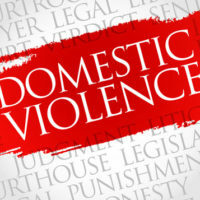 The National Coalition Against Domestic Violence reports that LGBT domestic violence is largely unacknowledged or incorrectly reported as something other than domestic violence. Their studies also show that bisexual and gay men experience abuse in rates comparable to those reported by heterosexual women, and approximately 50 percent of lesbians have, or will, experience domestic violence in their lifetimes. Transgender individuals will often endure emotional and verbal abuse in relationships as well as physical abuse. Children who live in homes where abuse occurs as a result of a divorce or other issue are negatively affected. Even if a child never witnessed the abuse, children are often aware of the stress caused by the abuse. This awareness creates tension in the child that can cause long term mental health issues. When children do witness physical or verbal abuse they may attempt to interfere, placing them in harm’s way. During a divorce a protective order can protect you from the actions of your former spouse. If a physical or otherwise dangerous altercation occurs, sometimes a protection order is the only way to guarantee that there will be no further incidents. These orders can give you and your children a chance to seek medical or legal help without fear of repercussion. Florida offers residents dating violence, domestic violence, repeat violence, sexual violence, and stalking violence orders. Each order of protection can be filed with the clerk of court with the assistance of an attorney, or with limited instructions from the clerk of court. A temporary order may be issued until the hearing date and a parent or guardian can file a petition on behalf of a minor. Contemplating a divorce or separation is stressful and not something that you should take lightly. If you are considering a divorce meet with a qualified divorce attorney today to discuss your needs and the safety of your family. 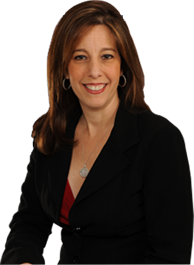 Sandra Bonfiglio is able to provide you with a free consultation to discuss your unique situation. Call her conveniently located Fort Lauderdale office today at 954-945-7591 to schedule an appointment.